"There is no such thing as per­fec­tion. You estab­lish a stan­dard and then you find out it is never good enough. When I play a piece well, I always hope that I’ll play it bet­ter tomorrow." 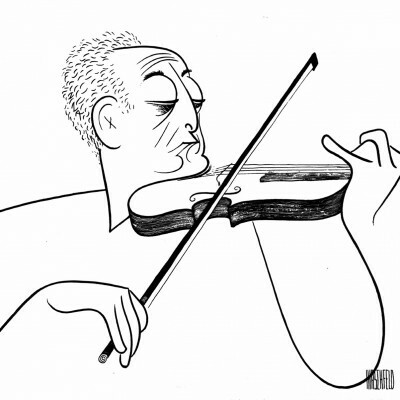 More than a century after his public debut, the name Jascha Heifetz (1901 – 1987) continues to evoke awe and excitement among fellow musicians. In a performing career that spanned 65 years, he established an unparalleled standard of violin playing to which violinists around the world still aspire. In 1928, he published the first of dozens of acclaimed violin transcriptions. Many, including his arrangements of selections from Gershwin’s Porgy and Bess, are now part of the standard repertoire. Using the pseudonym Jim Hoyl, he even wrote a pop song that became a hit in 1946. Compiled by John and John Anthony Maltese, © John and John Anthony Maltese. 1901: Born in Vilnius, Lithuania (then a part of Russia) on February 2 to Ruvin Heifetz and Anna Sharfstein. 1904: Completed Book I of Charles de Bériot’s Method after preliminary violin studies with his father. 1906: Admitted to the Vilnius Music School in the Fall where he studied with Ilya Davidovitch Malkin; first public performance at a student recital in December. 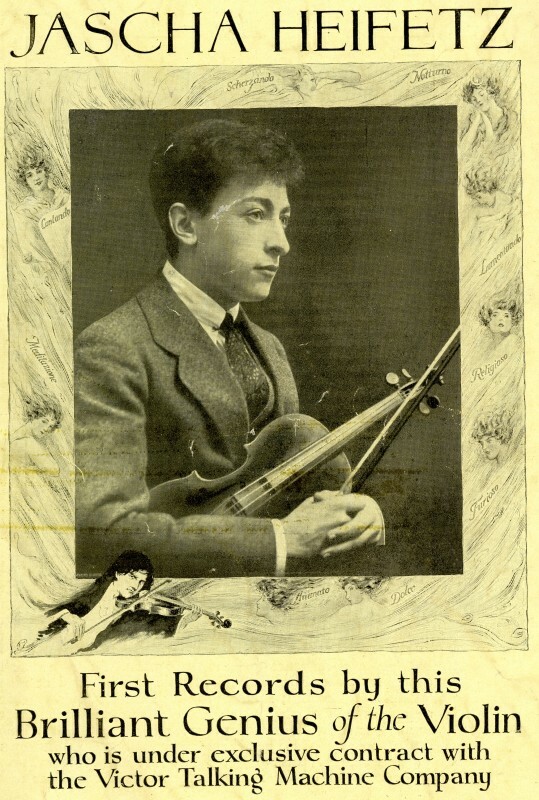 1909: Played the Mendelssohn concerto and Sarasate’s “Faust Fantasy” in his professional debut at Kaunas (Kovno), Lithuania in May; graduated from the Vilnius Music School that spring. 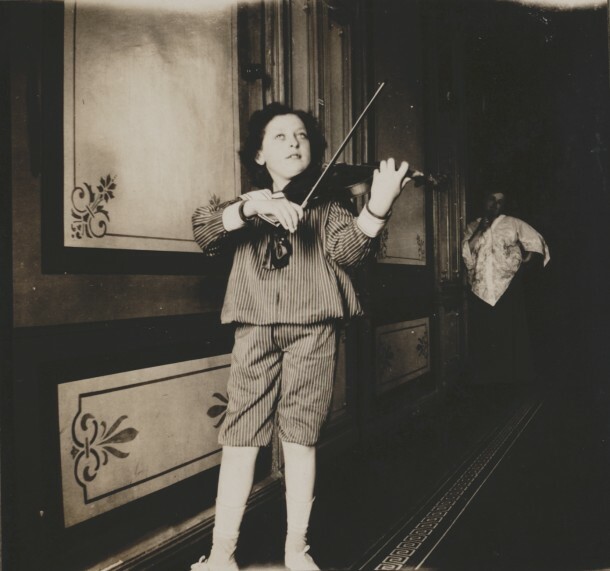 1910: Entered the violin class of Ionnes Nalbandian at the Saint Petersburg Conservatory in January; took part in student recitals there in November and December. 1911: First full recital at the Saint Petersburg Conservatory in April; made first recordings for Zvukopis in Saint Petersburg in May; his outdoor concerts in Odessa in August drew thousands of people; entered the violin class of Leopold Auer in the fall. 1912: Gave first concerts in Warsaw, Poland, including three appearances with the Warsaw Philharmonic in January; recital debut in Berlin, Germany on May 19; Berlin Philharmonic debut under Arthur Nikisch on October 28; toured Germany, gave first concerts in Prague, and returned to Warsaw (October-December). 1913: Continued his studies with Leopold Auer in Saint Petersburg and at Auer’s summer colony in Loschwitz, Germany; gave concerts in Berlin, Warsaw, Vilnius, and Kiev (October-December). 1914: Performed the Glazunov concerto under the baton of the composer in February; toured Germany, Austria, and Hungary, including an appearance with the Leipzig Gewandhaus Orchestra (becoming the youngest violinist to appear with the orchestra since Joseph Joachim); temporarily stranded in Germany at the outset of World War I. 1916: Toured Scandinavia after summer studies with Auer at Christiana (Oslo), Norway. 1917: U.S. debut at Carnegie Hall on October 27 with pianist André Benoist; made his first acoustic recordings for the Victor Talking Machine Company in November; Canadian debut on December 13 in Montreal. 1919: Samuel Chotzinoff became his accompanist. 1920: First concerts in England, Scotland, and France. 1921: First concerts in Australia and New Zealand. 1923: Isidor Achron became his accompanist; first concerts in China and Japan. 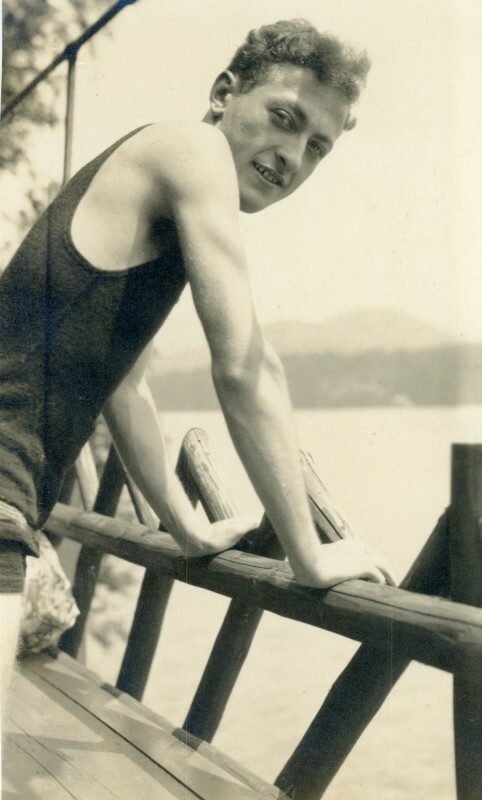 1925: Became a naturalized U.S. citizen in May; made his first electric recordings for Victor in December. 1926: Embarked on a world tour in January that took him to the Netherlands, Germany, Hungary, Austria, Monaco, France, Spain, Portugal, Italy, Egypt, Palestine, Denmark, Sweden, Norway, and Latvia before returning to the United States in December; awarded the Cross of the French Legion of Honor (becoming the youngest person on the civil list to hold that distinction). 1927: Continued on a world tour in January that took him to Spain, Egypt, India, Singapore, Hong Kong, the Philippines, Australia, New Zealand, Hawaii, the United States, and Mexico; wrote the first of many violin transcriptions (Ponce’s “Estrellita”). 1928: Married the silent screen star Florence Vidor and adopted her daughter Suzanne; first concerts in Switzerland, Turkey, Romania, and Greece. 1930: Daughter Josefa was born; gave world premiere of Castelnuovo-Tedesco’s “The Lark” (which Heifetz commissioned); made his first radio broadcast; performed at the White House for President Herbert Hoover. 1931: Toured China and Japan and gave concerts in the Philippines and Java. 1932: Son Robert was born; world tour took him to Sumatra, India, Egypt, Palestine, Switzerland, Belgium, France, Austria, Hungary, Italy, Spain, Portugal, Poland, South Africa, the United States, and Canada; made experimental long play recordings for the Bell Telephone Laboratory. 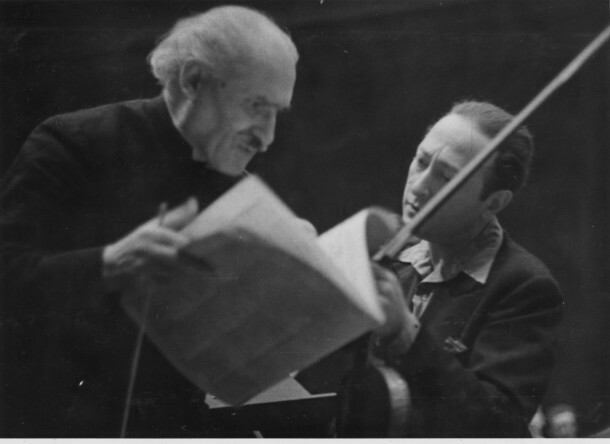 1933: Gave the world premiere of Castelnuovo-Tedesco’s second violin concerto (“I Profeti”) with Arturo Toscanini and the New York Philharmonic; Arpad Sándòr became his accompanist; gave last tour of Germany (just as Adolf Hitler became Chancellor). 1934: Recorded his first complete sonata (by Richard Strauss) and concerto (Mozart’s No. 5, K. 219); gave concerts in the Soviet Union for the first and only time since leaving Russia in 1917; Emanuel Bay became his accompanist in May; gave first South American tour with concerts in Argentina, Brazil, Chile, Peru, and Uruguay, and returned to Mexico and the United States; performed at the White House for President Franklin Roosevelt. 1936: Helped to found the American Guild of Musical Artists and served as its first vice president. 1937: Gave the U.S. premiere of Prokofiev’s second violin concerto with Serge Koussevitzky and the Boston Symphony Orchestra. 1939: Starred in the MGM movie, They Shall Have Music; gave the world premiere of the Walton violin concerto with Artur Rodzinski and the Cleveland Symphony Orchestra. 1940: Gave first concerts in the Dominican Republic, Jamaica, Puerto Rico, Trinidad, the British West Indies, Colombia, Costa Rica, Ecuador, and Panama, and toured South America, Mexico, and the United States. 1941: Gave benefit concerts for British War Relief and Russian War Relief, and participated in a radio broadcast sponsored by the U.S. Treasury to support the sale of Defense Bonds. 1943: Toured Central and South America for the USO and gave concerts at military bases and hospitals throughout the United States. 1944: Toured North Africa, Sardinia, Sicily, and Italy for the USO with pianist Milton Kaye; gave world premiere of the Louis Gruenberg violin concerto with Eugene Ormandy and the Philadelphia Orchestra; transcribed selections from Gershwin’s Porgy and Bess. 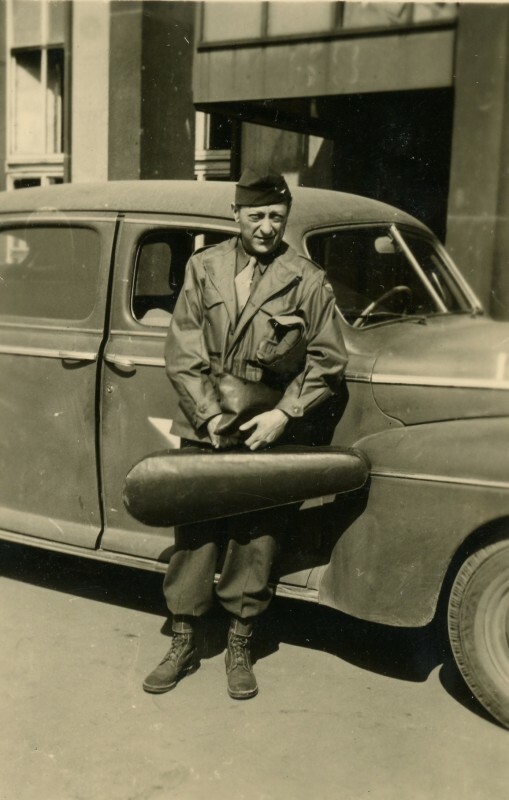 1945: Toured England, France, Belgium, Luxembourg, and occupied Germany for the USO with pianist Seymour Lipkin, including a VE-Day concert in Beckum, Germany on May 8; filed for divorce from Florence Vidor in December. 1946: Divorce from Florence Vidor granted in January; toured United States, Mexico, and Cuba; published two popular songs under the pseudonym Jim Hoyl with the lyricist Marjorie Goetschius: one, “When You Make Love To Me (Don’t Make Believe”), became a hit (recorded by the likes of Bing Crosby, Helen Ward, and Margaret Whiting). 1947: Married Frances Spiegelberg; gave world premiere of the Korngold violin concerto with Vladimir Golschmann at the Saint Louis Symphony; toured United States and gave concerts in England, France, Belgium, Switzerland, and Cuba. 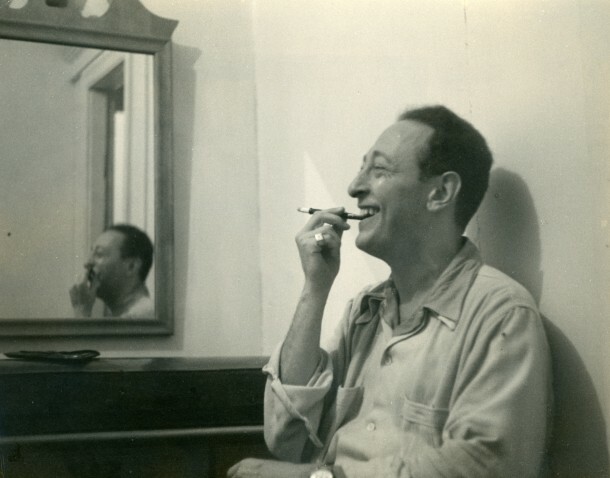 1950: Toured Israel and the United States; worked with Benjamin Britten on revisions to his violin concerto, but never publicly performed the work. 1953: Returned to Israel for another tour and was attacked by a man wielding a metal pipe for playing the violin sonata by Richard Strauss (whose music was then banned in Israel); also gave concerts in England, Belgium, France, Italy, Portugal, Finland, Sweden, Norway, Cuba, and the United States. 1954: Toured Japan and the United States, and gave concerts in Canada, England, and France; Brooks Smith became his accompanist. 1955: Gave the premiere of the revised version of Ernest Bloch’s Violin Sonata No. 2 (“Poème Mystique”) which he worked on with the composer; toured North, South, and Central America. 1956: Gave world premiere of the Rózsa violin concerto with Walter Hendl and the Dallas Symphony Orchestra; gave last extensive concert tour, which took him through the United States, Canada, England, France, Holland, Italy, and Switzerland. 1957: Named a Commander of the French Legion of Honor. 1959: Appointed Regent’s Professor of Music at UCLA; slipped on the floor at Nate ‘n Al’s Delicatessen in Beverly Hills and fractured his hip; a subsequent infection nearly killed him, but he accepted an invitation from Dag Hammarskjöld, the Secretary-General of the United Nations, to play at the Human Rights Day Concert in the UN General Assembly Hall in December. 1960: Returned to the Hollywood Bowl with Leonard Bernstein and the New York Philharmonic. 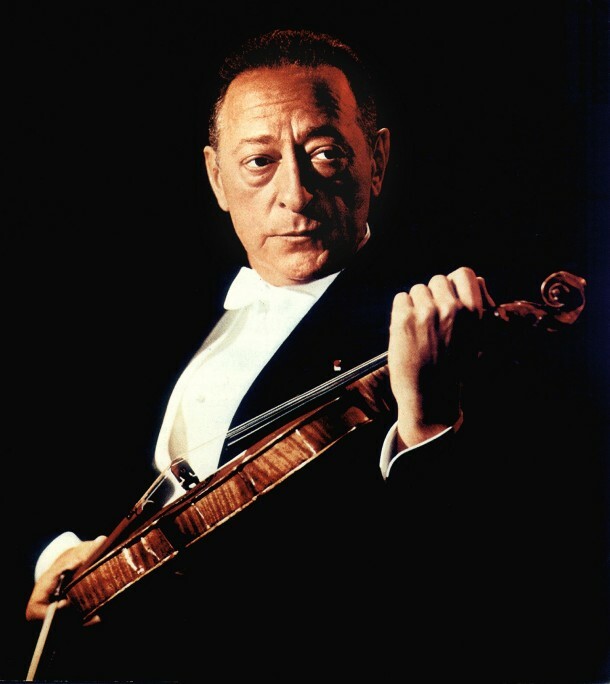 1961: Won the first of three Grammy Awards (the others came in 1962 and 1964) from the National Academy of Recording Arts and Sciences; gave a series of “Heifetz-Piatigorsky” chamber music concerts in Hollywood, California with violist William Primrose and other guest musicians. 1962: Appointed Professor of Music at the University of Southern California’s Institute for Special Musical Studies where a series of his master classes were filmed; performed at the Paris Opera in a benefit for old musicians and made recordings in England; divorced Frances Spiegelberg; gave a series of Heifetz-Piatigorsky concerts in San Francisco with the pianist Leon Fleisher and other guest musicians. 1963: Public Television aired the master class films; performed the Brahms double concerto at the Hollywood Bowl with Piatigorsky and the New York Philharmonic conducted by Leonard Bernstein; gave a series of Heifetz-Piatigorsky concerts at the Scottish Rite Auditorium in Los Angeles. 1964: Returned to Carnegie Hall for the first time since 1956 for a series of Heifetz-Piatigorsky concerts; played the Beethoven concerto at the opening of the Dorothy Chandler Pavilion in Los Angeles with Zubin Mehta and the Los Angeles Philharmonic. 1965: Gave a series of sonata recitals with Lillian Steuber at USC. 1966: Gave his last concerts at Carnegie Hall, including a recital, an evening of chamber music, and concertos (the Conus violin concerto and the Brahms double with Piatigorsky). 1967: Converted his Renault passenger car to an electric vehicle as part of an effort to combat air pollution; performed with the Israel Philharmonic at the Hollywood Bowl. 1968: Gave a recital with Brooks Smith at the Dorothy Chandler Pavilion and also performed there with orchestra (playing the Prokofiev second violin concerto and the Brahms double with Piatigorsky). 1970: Returned to Israel where he gave recitals and appeared with Piatigorsky; filmed performances in Paris with Brooks Smith and the French National Orchestra for an NBC television broadcast that aired in 1971. 1972: Chamber music concert at USC with Piatigorsky and students; gave his final recital with Brooks Smith at the Dorothy Chandler Pavilion in Los Angeles, which was recorded and issued by Columbia Records. 1974: Last two public performances at USC with Piatigorsky and students. 1975: A shoulder injury ended his public performing career, but he continued to play chamber music with students and friends for the rest of his life. 1977: Agreed to serve as an Honorary Vice President of the International Castelnuovo-Tedesco Society. 1978: Transcribed two excerpts from Prokofiev’s Music for Children, Op. 65 which he published in memory of Gregor Piatigorsky. 1983: Stopped teaching at USC, but continued to teach privately. 1987: Died December 10 at Cedars-Sinai Medical Center in Los Angeles. 1989: Posthumously received the Grammy Lifetime Achievement Award from the National Academy of Recording Arts and Sciences.